I have a problematic car, can the lemon law help me? The California lemon law’s intent is to have the manufacturer of the automobile buy the vehicle back or replace it if found to have spent too many cumulative days in the shop for warranty repairs, or having been subject to an unreasonable number of repair visits for the same problem. I want to know if I have a case, and what my lemon law rights are. How do I find out? Documentation to be reviewed by a lemon law attorney is the way a consumer finds out if they have a lemon law case, and what their rights are. Necessary documents include purchase or lease agreement, current registration, information on lien-holder/leaseholder, and all of the repair order invoices for the history of the vehicle’s warranty repair visits to the car dealership(s). I’ve purchased my car from an independent used car dealer, “AS-IS”. Do I qualify for lemon law? No. Only vehicles sold that include a free written warranty, and repairs performed under that warranty can qualify for lemon law protection. “AS-IS” mean the seller has made no representations as to the merchantability of the vehicle, nor has expressed any warranty of fitness. More easily put, a “AS-IS” vehicle that fails the day after the sale (for example) is the sole responsibility of the buyer. The seller has no duty to the buyer to pay for repairs, or provide repairs. My dealer ignores my demands to replace or buyback my vehicle. What can I do? The car dealership, whether it’s the selling or servicing dealer, is not responsible to repurchase or replace your “lemon” vehicle under the California lemon law. The responsible party is the automobile manufacturer. This can be a “David and Goliath” scenario for most consumers, with the California consumer at a distinct disadvantage. Representation by an expert lemon law attorney can “level the playing field”, and even put it in your favor. My dealer wants to offer to “take me out of my car and put me into a new one, and write up a new sales agreement”. Is this the California lemon law? Absolutely not! This is the oldest ploy in the automobile business. More commonly known as the “trade assist”, the unwary consumer pleads with the selling dealer to take back the offending vehicle, to which the dealer creates a selling/leasing opportunity. This can cost the unknowing consumer thousands of dollars, keeps their vehicle from becoming branded a “lemon”, and often yields the dealer a staggering profit. 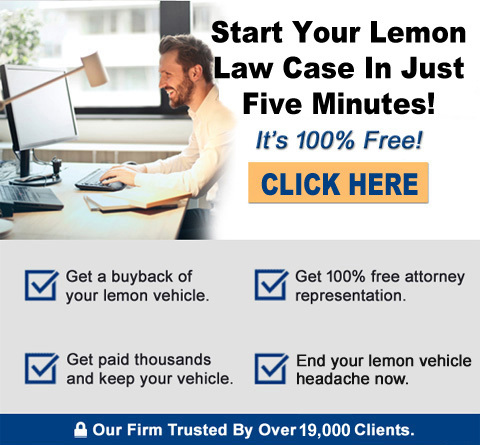 If you think you have a vehicle that may qualify under the California lemon law, you should contact a qualified lemon law attorney to have your situation reviewed. I have called the manufacturer’s “customer assistance center” and they said I don’t qualify for the lemon law. Am I getting correct information? The automobile manufacturer’s “customer assistance center” is not staffed by attorneys, nor direct decision-makers. The consumer must remember that these centers are for a corporation that is protecting their assets, not yours. Proceed with caution. To avoid possibly saying the wrong thing when you call, you should consider calling a qualified lemon law attorney for legal advice. I purchased my car from a private party. Does my vehicle qualify for California lemon law? No. Only vehicles purchased from car dealerships (those normally in the business of selling cars, and with a valid dealers license) are applicable to California lemon law protection.